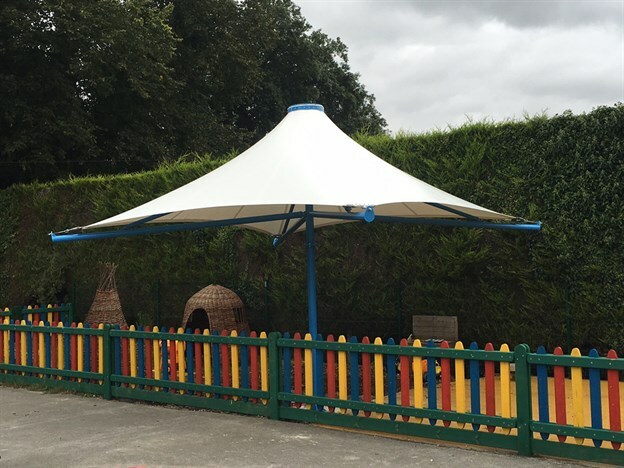 This school are delighted with their 5m x 5m umbrella canopy which was installed to create a covered play area for pupils. 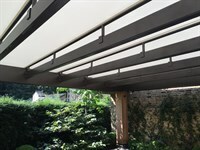 The 'Corona' canopy is ideal for providing all-weather protection, whether the sun is beating down or of it is raining, and forms part of our exterior product range which is extremely popular with schools. The school opted for a classic white fabric with a bright blue frame to tie in with the colourful fence in this reception play area. 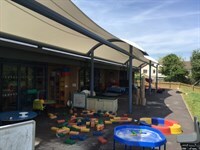 The canopy was installed in the summer holidays to avoid any disruption to the school. 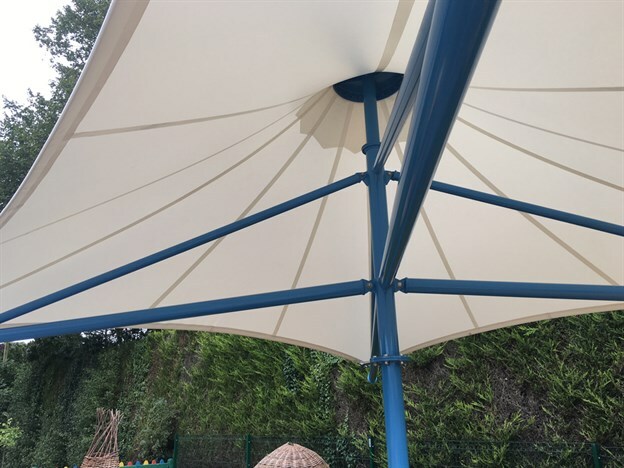 Here is an example of a twin 'Corona' canopy at another school which really opened up the playground for alternative teaching space and play time.